144.99 GBP Only 1 left In stock, ready to dispatch. 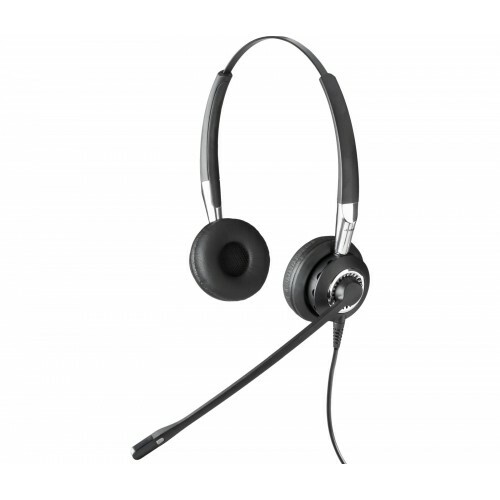 Optimised for Microsoft and Unified Communications environments, the Jabra BIZTM 2400 Duo USB Type: 82 E-STD Noise-Cancelling corded headset provides maximum flexibility for your business. The Jabra Biz 2400 corded headset is equipped with a noise cancelling microphone to ensure call clarity, by getting rid of any background noise and sounds that may cause poor sound transmission. This feature, combined with a Flex boom arm type that is adjustable to the user, deliver effective noise reduction, especially in loud and open office environments, allowing for crystal-clear communication. The Jabra Duo is equipped with speakers featuring HIFI frequency sound, which enables them to produce a sound range that is well-suited for the production of realistic sound. The speakers can also digitally maximise all sound, including caller voice and music, and suppress any echoes, owing to the application of Digital Signal Processing technology. 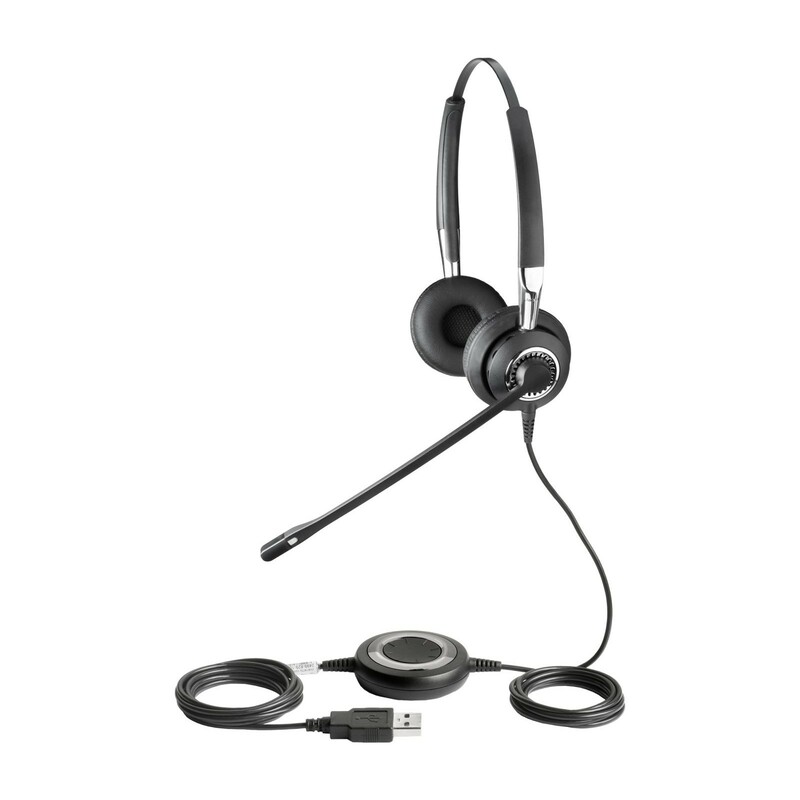 Users can successfully connect their Jabra Biz 2400 to a PC via USB for voice calls or to stream music. With its control centre, users can easily manage all connected devices straight from the Jabra PC Suite, facilitating mass deployment and greater control. Additionally, the Jabra PC Suite makes it possible for users to control calls remotely, using Jabra headsets and the newly released UC and IP softphones. Why should you buy the Jabra Biz 2400 headset? 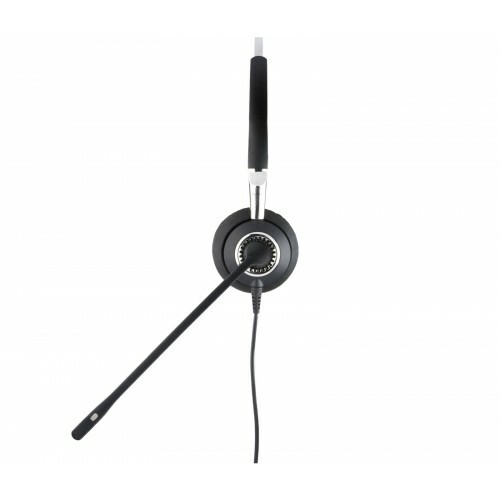 Users with a wireless headset can receive and end calls away from their softphone or desk. For the corded headsets, users can take advantage of the remote call control functions offered in the Jabra PC Suite, from the in-line buttons on the cord, or directly from the handset. In addition, the headset offers seamless integration with softphones, allowing you to enjoy the enhanced mobility, as well as the ability to multitask while on a call. With increased freedom, you can boost work efficiency and ergonomics.